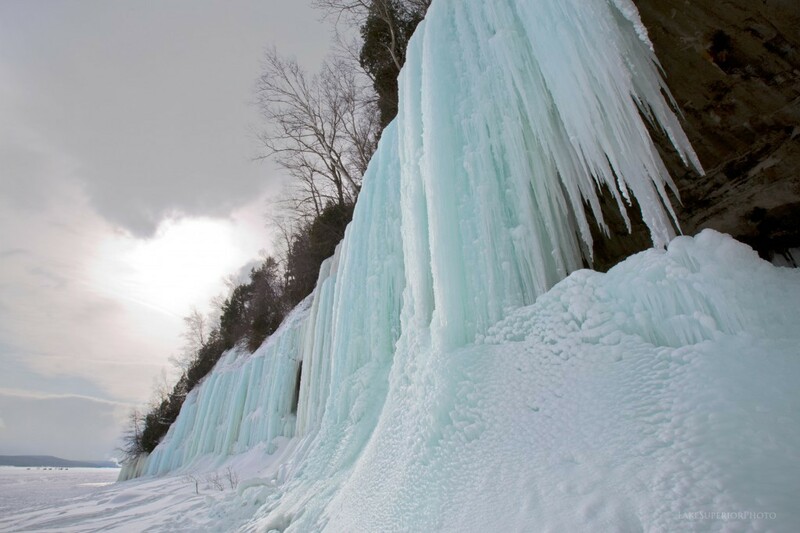 Spring might be around the corner, but the Great Lakes' historic freeze has led to some of the most spectacular scenes from this winter. Last Thursday, the Great Lakes were more frozen than they had been in 35 years, with 92.2 percent of the lakes' surface covered in ice, according to the National Oceanic and Atmospheric Administration (NOAA) Great Lakes Environmental Research Laboratory (GLERL) in Ann Arbor, Mich. That's the second-highest since ice cover started being recorded in 1973; only 1979 had an icier winter, reaching 94.76 percent ice cover at one point that February. On Saturday, Lake Michigan had the most ice the individual body of water had ever recorded, at 93.29 percent. There are upsides to the record ice cover. It has positive effects for some wildlife and should cause water levels to recover after being worryingly low in recent years. This icy view from space. 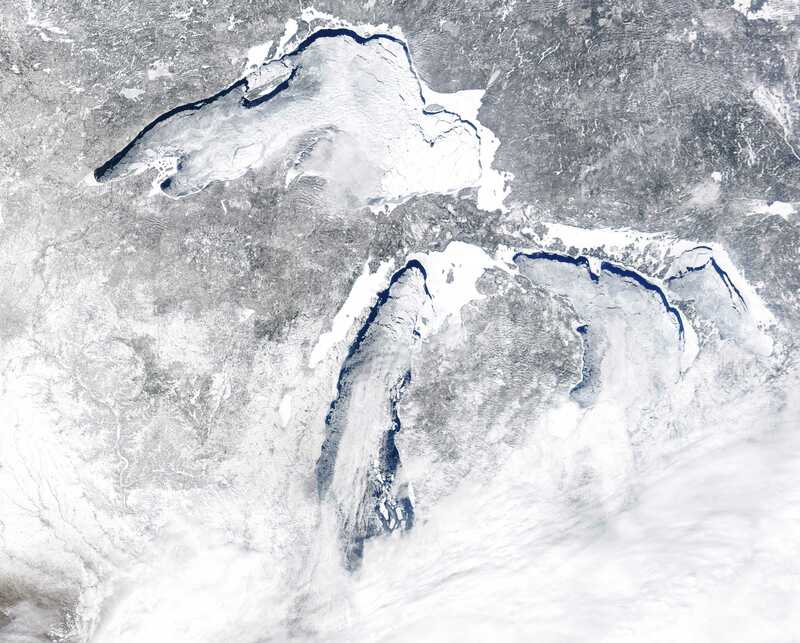 This image from NASA's Moderate Resolution Imaging Spectroradiometer (MODIS), via GLERL, shows a satellite view of the Great Lakes on March 8. Blue ice curtains on Lake Superior. Photo courtesy Shawn Stockman-Malone / Lake Superior Photo. 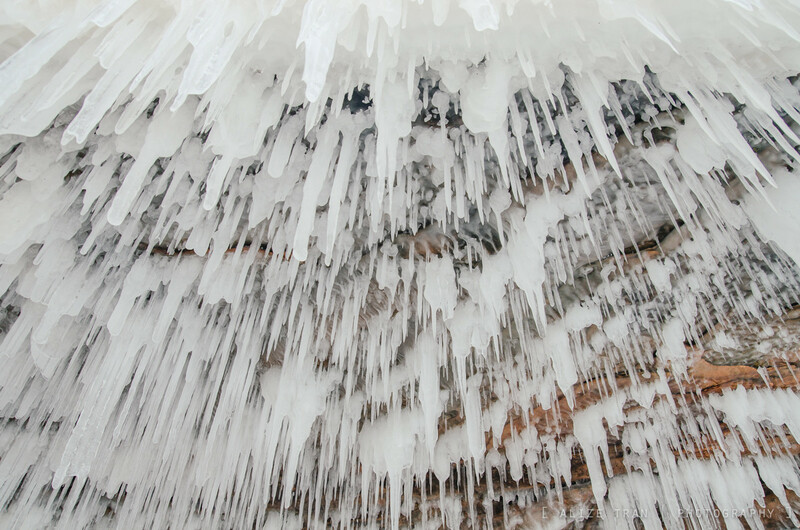 Photographer Shawn Stockman-Malone documents the beauty of Lake Superior in all seasons, but her photos of blue ice near Munising, Mich. are above and beyond. 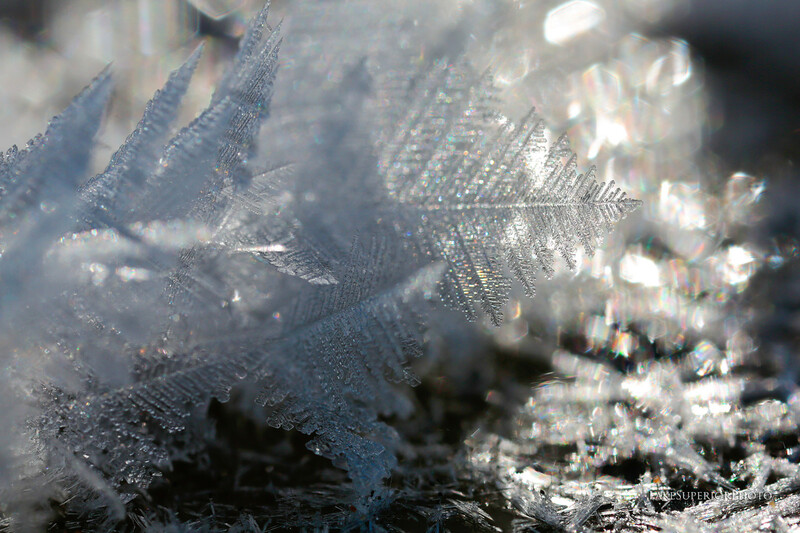 "The ice of Grand Island just may be the Midwest’s best kept secret when it comes to frozen winter beauty," she wrote for Pure Michigan. 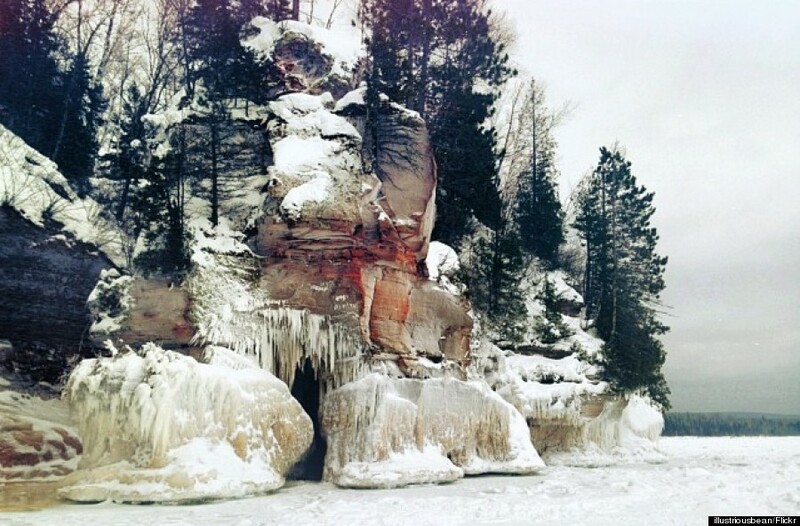 When the East Channel is frozen, Grand Island is a short hike from the Lake Superior coast. 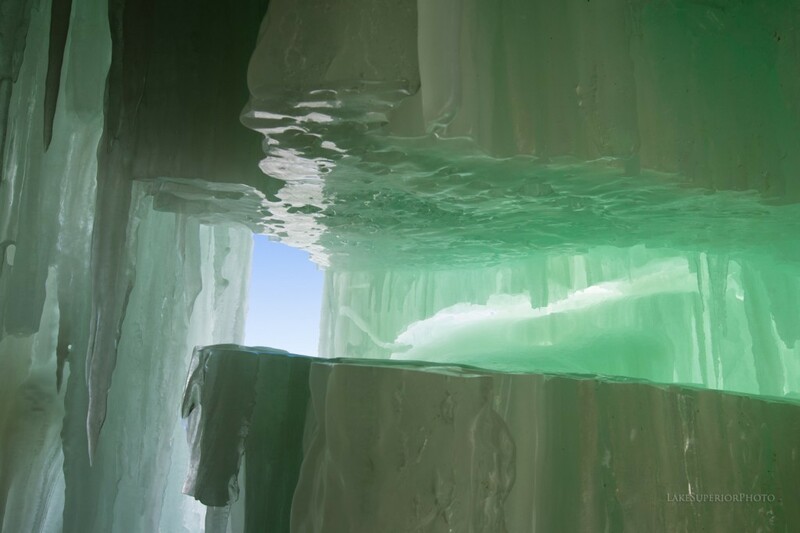 "On the island, long stretches of entire cliff faces are lined in ice curtains, and when looking through some of these ice pillars back lit by the sun, they look like magical green and blue spikes of kryptonite," Stockman-Malone wrote. Massive ice balls in Lake Michigan. These ice balls were reportedly seen in Glen Arbor, Mich. in January and filmed by YouTube user headsonfire. When chunks break off ice sheets, they're smoothed and shaped into spheres by the waves. Chris Harnish Photography via Getty Images. 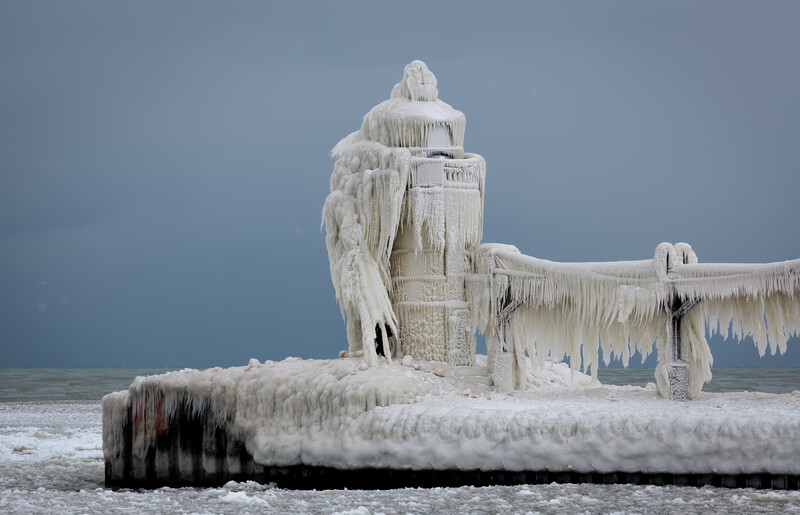 This photograph of the lighthouse in St. Joseph, Mich. was taken by Chris Harnish in January 2013, but the Lake Michigan light was just as icy this year, looking like it belongs in the Disney movie "Frozen." Otherworldly "flowers" made of ice. 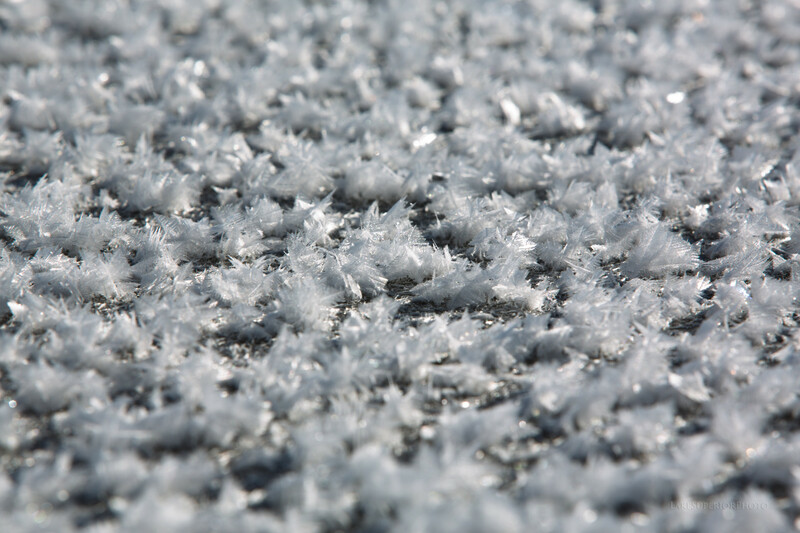 In early March, Stockman-Malone also took these photos of frost flowers on Lake Superior. 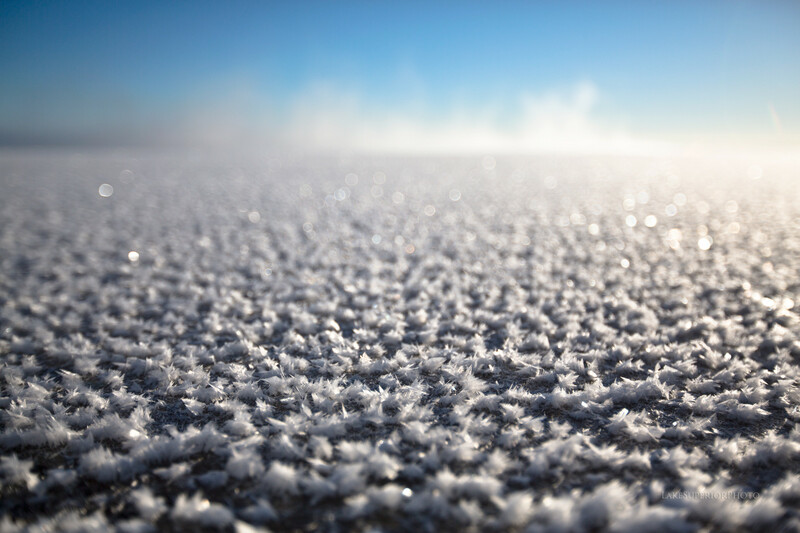 The clusters of ice crystals form in calm conditions when the air is much colder than the water below the ice, according to New Scientist. Mesmerizing pancake ice on Lake Michigan. 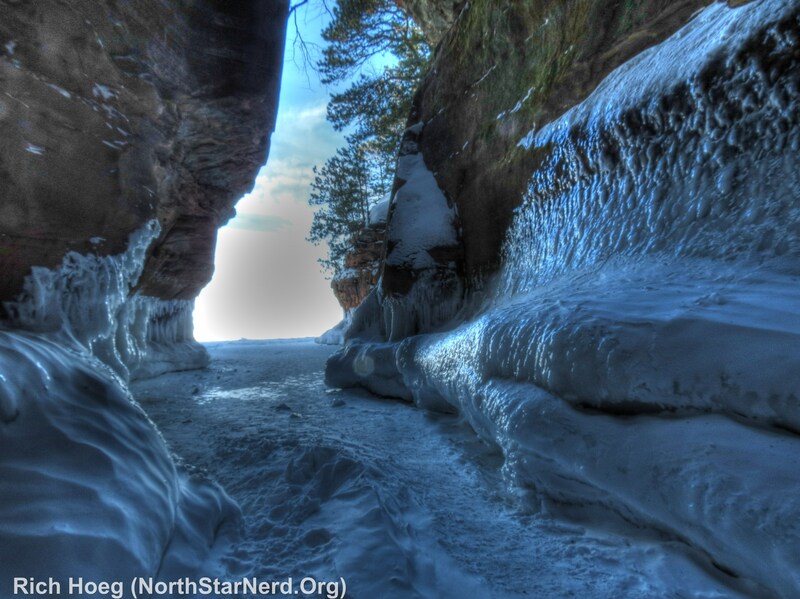 The spectacular ice caves at the Apostle Islands. Photo by Rich Hoeg via Flickr. 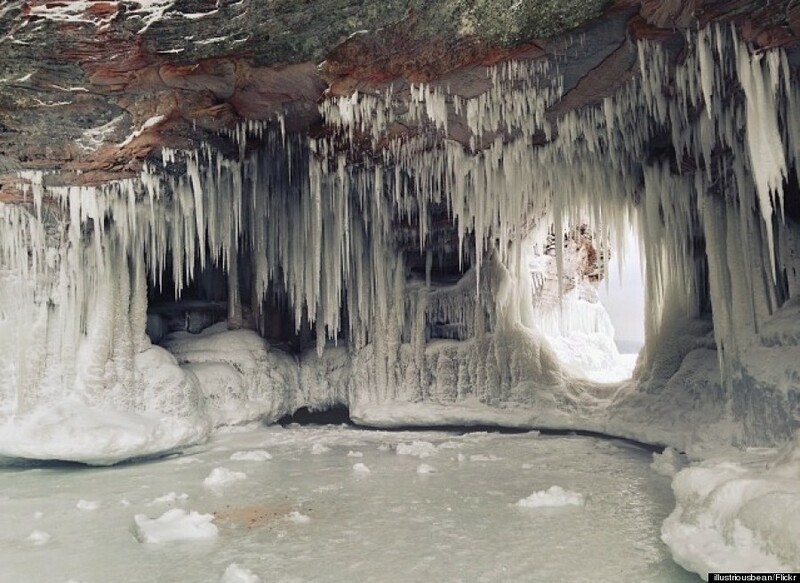 The Apostle Islands caves off the coast of Wisconsin aren't often accessible in winter, but Lake Superior was frozen enough to allow visitors to make the trek this year. Photo by Kelley Linehan via Flickr. Photo by Alize Tran via Flickr. 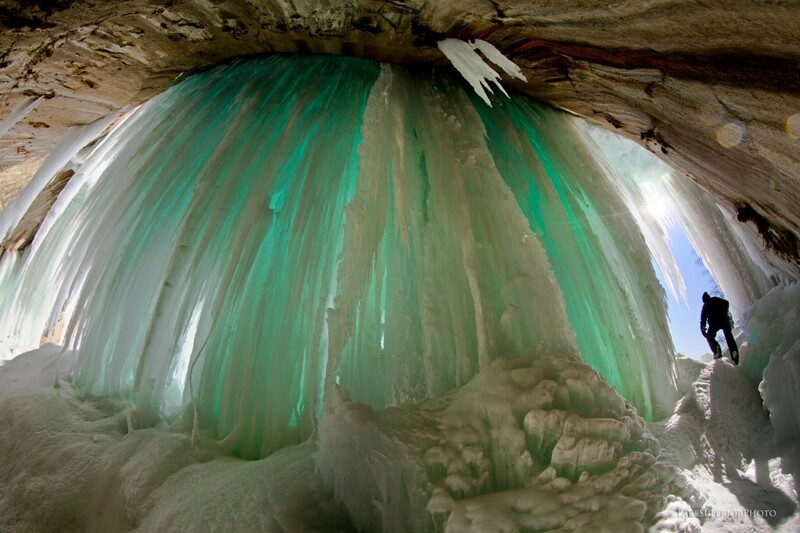 These "once-in-a-lifetime" ice caves that formed on Lake Michigan. 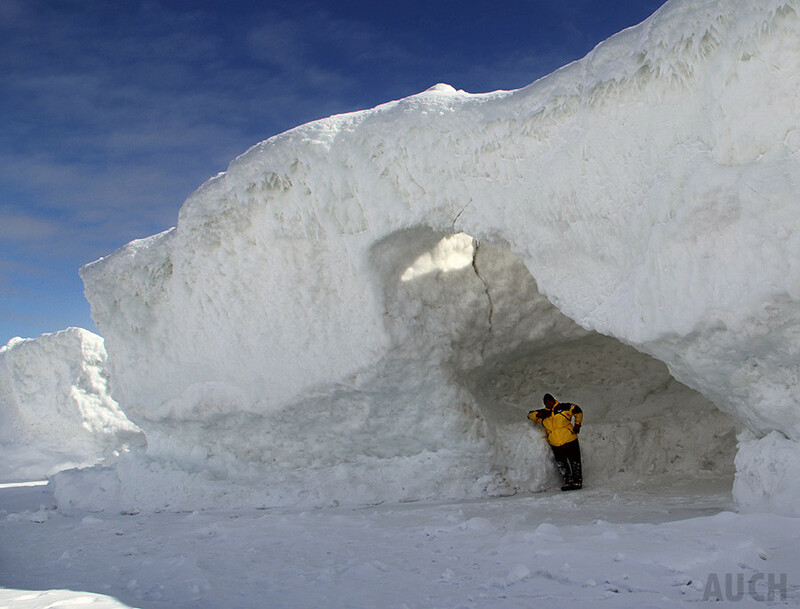 Photography teacher Tom Auch explored the coast near Leland, Mich. to find ice caves as tall as 20 to 30 feet. Aerial views of Lake Michigan that show a field of ice. College student Jeff Zita took these photos of Lake Michigan in January, using a camera attached to a drone. The sun rises over a frozen Lake Erie.